Let us ORCHESTRATE your dream. For the perfect products for your kitchen or bath, stop by a Ferguson showroom. It’s where you’ll find the largest range of quality brands, a symphony of ideas, and trained consultants to help orchestrate your dream. With showrooms from coast to coast, come see why Ferguson is recommended by professional contractors and designers everywhere. 9221 Farrow Rd 1610 W Lucas St/US Hwy 52 N FERGUSON.COM ©2010 Ferguson Enterprises, Inc. All Rights Reserved. Features Tailgating Traditions It’s not WHAT to eat before the game, it’s WHERE to eat it! The Blair Kitchen Project Modernizing a comfortable 70’s home to ﬁt a 2010 lifestyle. 26 34 Ice, Ice Baby Protecting Your Home Against the Winter Chill Advice from the experts on getting your home ready for the winter season. Warmer rooms. Steaming showers. When your home has natural gas, every day can be the ultimate housewarming. Natural gas offers exceptional comfort, convenience and energy efﬁciency year round. Are you on SCE&G’s Natural Gas ValueRate? Faster heating. A natural gas furnace warms up a home faster with heat up to 25 degrees warmer than electricity. Ample hot water. A natural gas water heater heats water about twice as fast as most electric models, and provides faster recovery and ample supply. Higher efﬁciency. Because natural gas burns so cleanly, gas furnaces and water heaters are more energy efﬁcient, economical to operate and durable compared to electric models. Visit sceg.com/value or call 1-866-523-8242 to learn more. *SCE&G bill credits and offers subject to change. Must meet minimum requirements. Cracked foundation? Leaning chimney? We can help! Visit us on the Internet for additional information, including links to our advertisers, subscription information, writersâ&#x20AC;&#x2122; guidelines, and advertising opportunities. ÂŠMMX Columbia Home & Garden, LLC. All rights reserved. No part may be reprinted without written permission from the publisher. 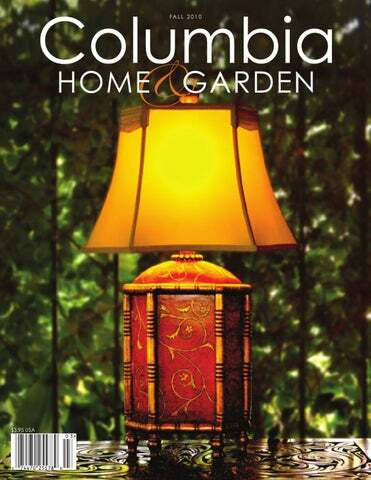 Columbia Home & Gardenn is published quarterly for Columbia Home & Garden, LLC by CarterTodd & Associates, Inc., 1233 Washington Street, Suite 101, Columbia, SC 29201, (803) 779-4005. 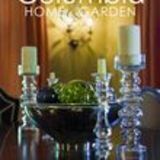 Subscribe to Columbia Home & Gardenn magazine at the introductory price of $12 for a one-year subscription. Each issue will be mailed to your home or ofďŹ ce. Send check to Columbia Home & Garden, PO Box 50145, Columbia, SC 29250, or visit us online at columbiaHG.com to use credit card. The editors welcome unsolicited manuscripts and photographs. Please visit us online at columbiaHG.com for submission guidelines, or e-mail us at editorial@columbiaHG.com. Just because the air’s getting chillier, it doesn’t mean that a gardener’s work is over for the year. While many people trade their gardening tools for Mason jars, there are still things that can be planted and done outside. Embrace and enjoy the cool months and look forward to a vibrant spring to come. All women are at risk for ovarian cancer. I’m a mother… a military wife… a vocalist… an executive assistant… a patient of Lexington Medical Center. Women’s Services at Lexington Medical Center was created for all the women you are. During a woman’s life, many roles are played. But no matter what role you’re playing at the time, one thing remains important. Your health care. Women’s Services at Lexington Medical Center is designed to offer a continuum of care to women of all ages. So go ahead and live your life. We’ll make sure that while you do, you’ll be receiving the ﬁnest care available. Anywhere.